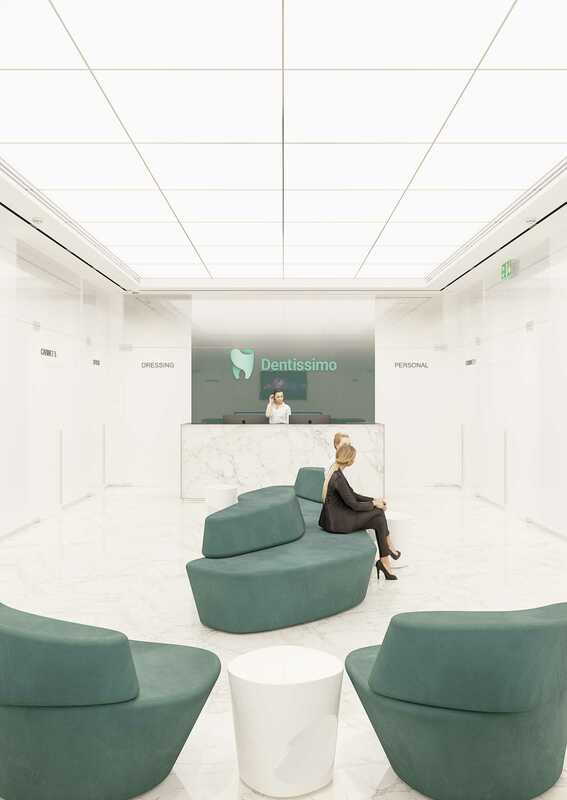 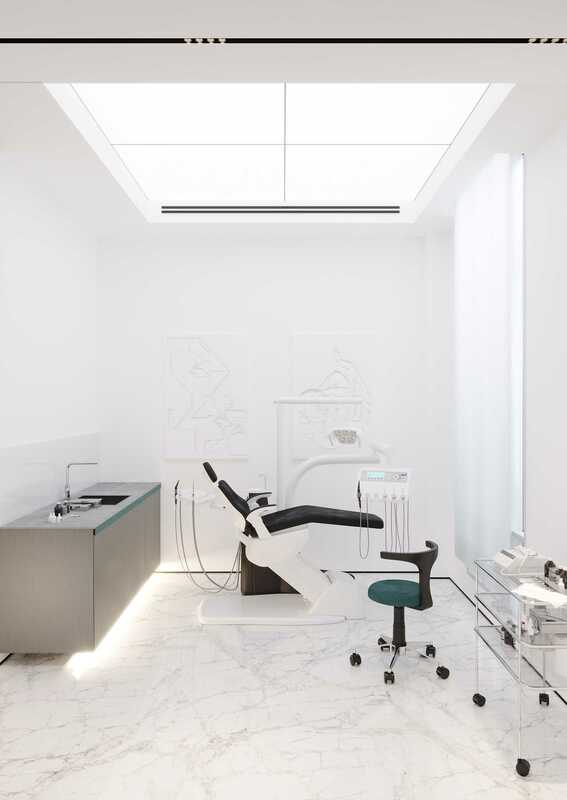 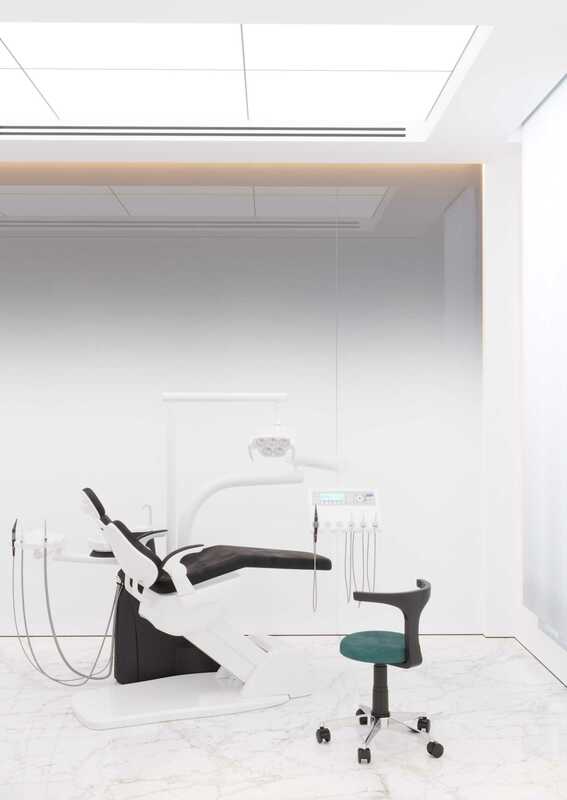 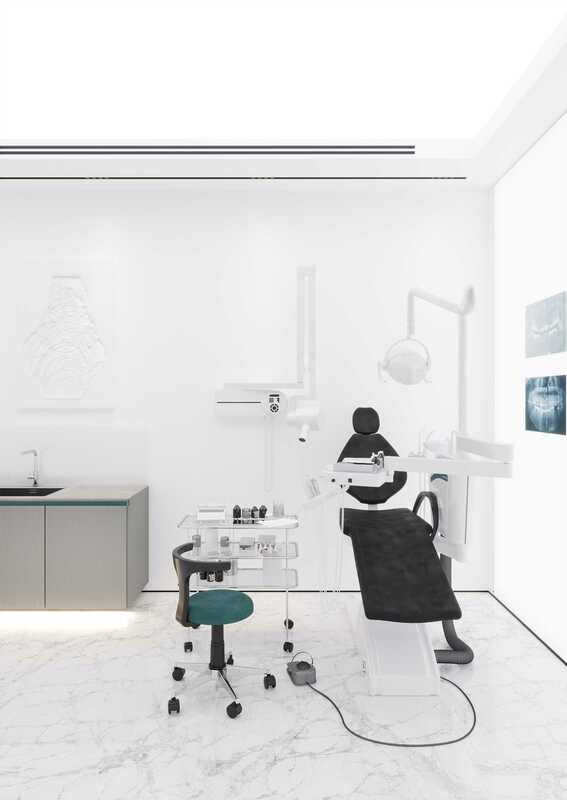 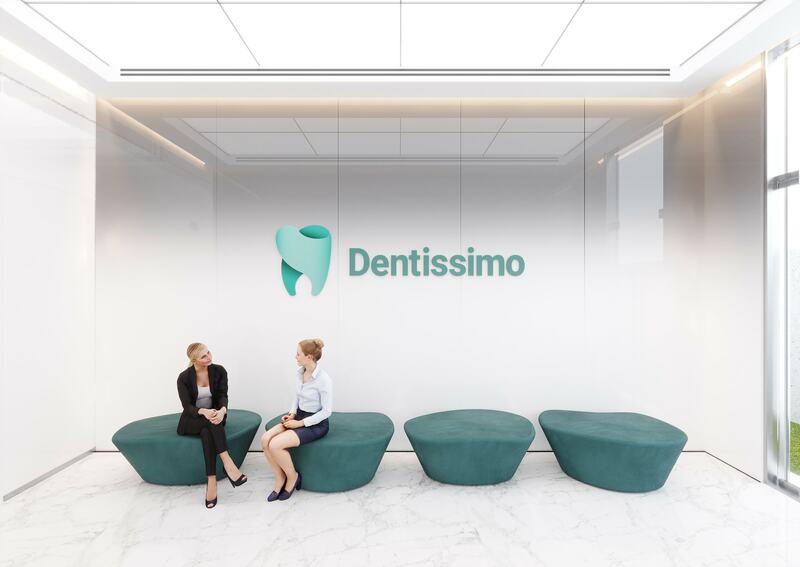 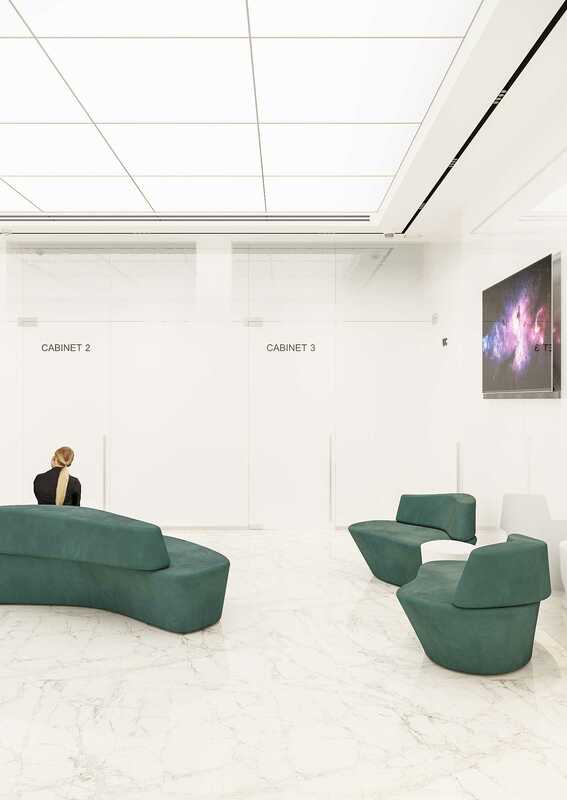 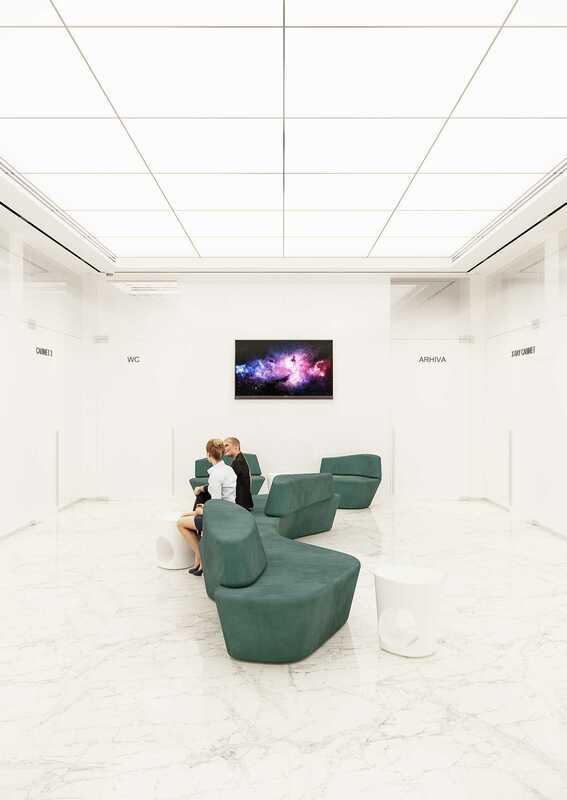 The interior of a dental clinic assumes from the very beginning that it should be a space in which the white dominates and this color is flooding each corner. 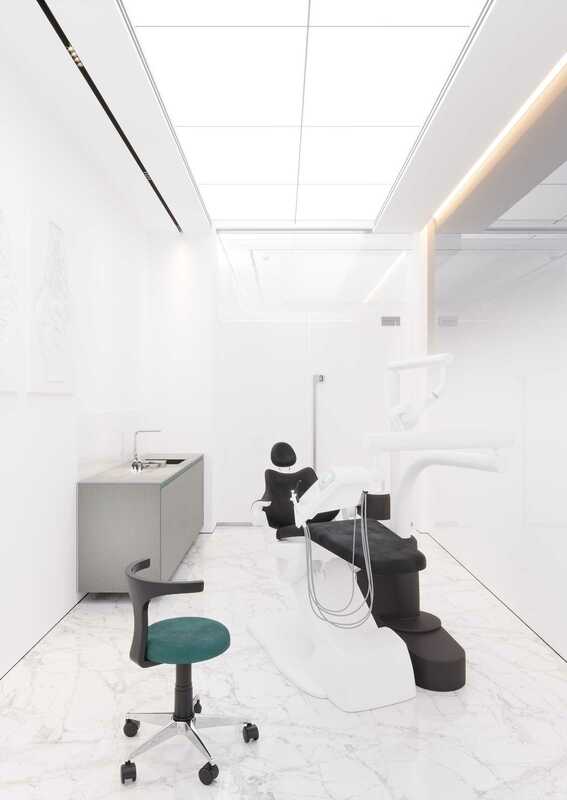 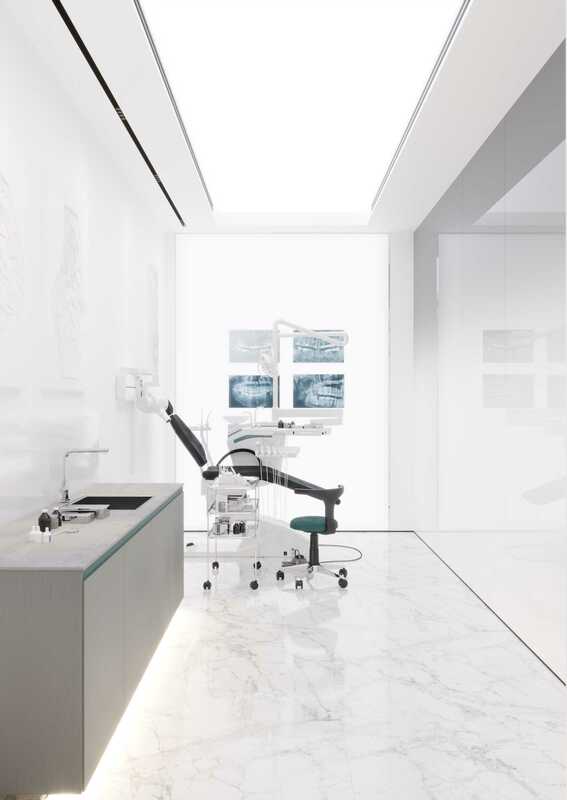 Impeccable white is an indicator of symbolic cleanness that such a space must have, but what if we replace the sterile atmosphere of a dental office with freedom? 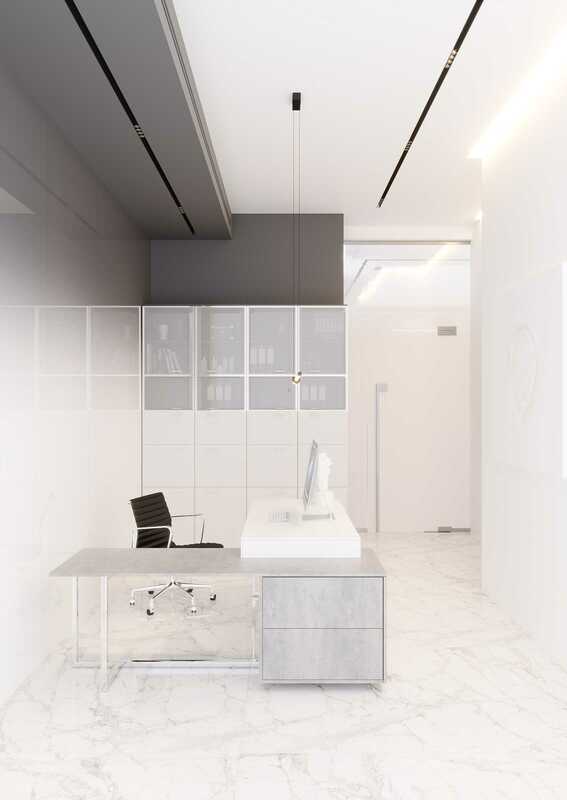 As the color of the project was inevitably pre-set, we only had to focus on accents and textures. 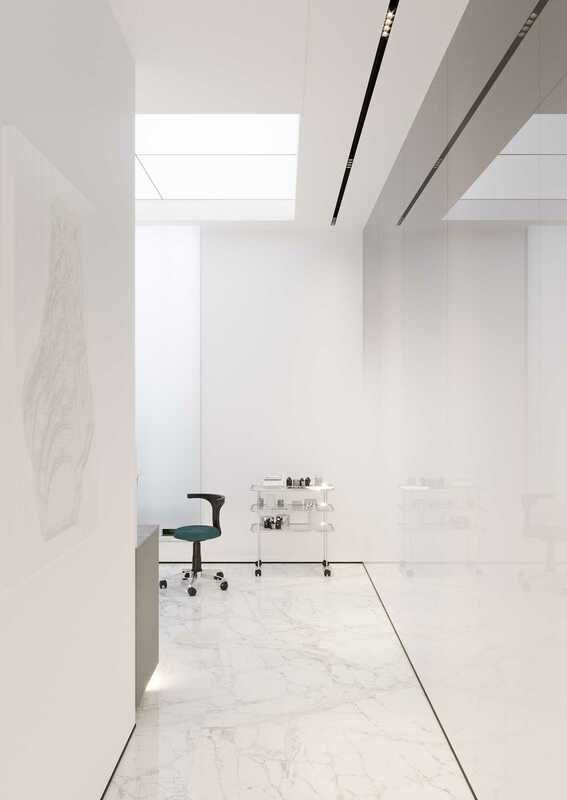 We gave up plaster and paint in favor of the graduated tinted glass, thus obtaining a space that combines the required norms and aesthetically distinguishes from other similar ones. 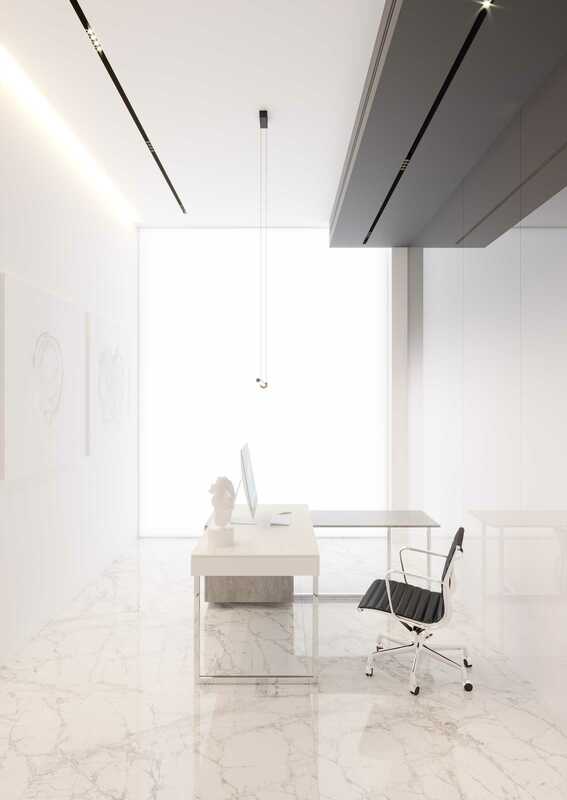 Another accent of originality is marble on the floor, which by its play of colors creates a refined atmosphere. 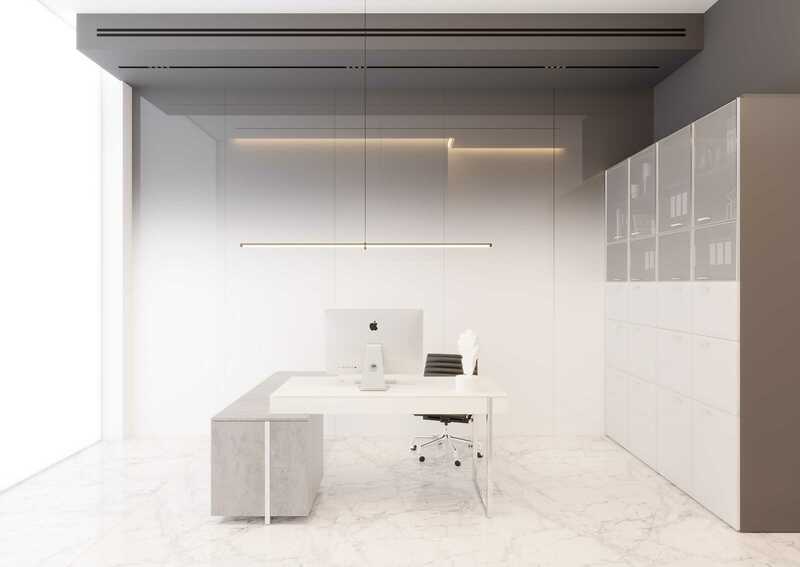 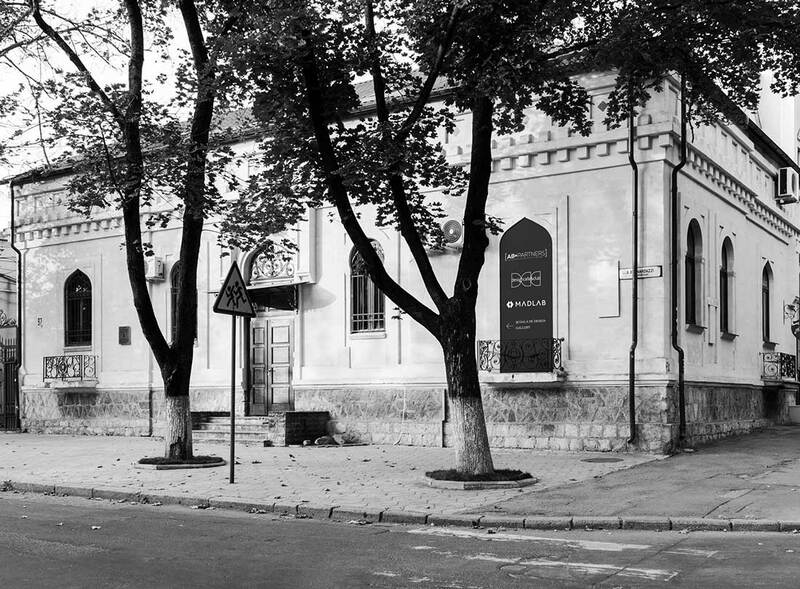 As according to the concept it should be a minimalist interior design that was supposed to imply the high degree of technology, we focused on simple lines without strident details of décor. 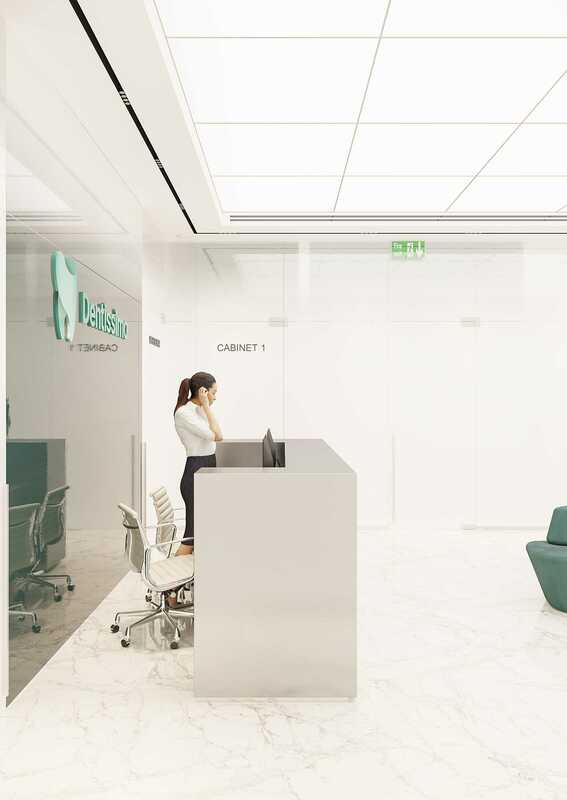 The main chromatic accent is the turquoise furniture in the waiting room. 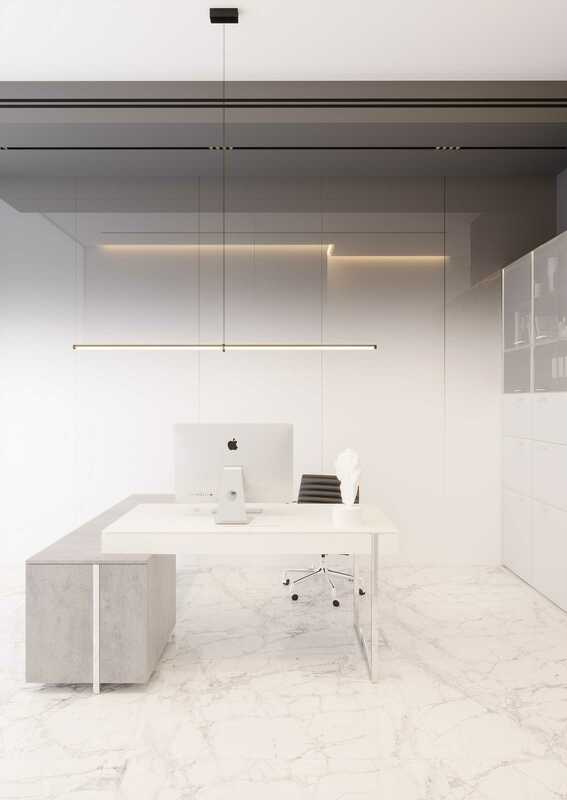 Special attention was given to the lighting of the space. 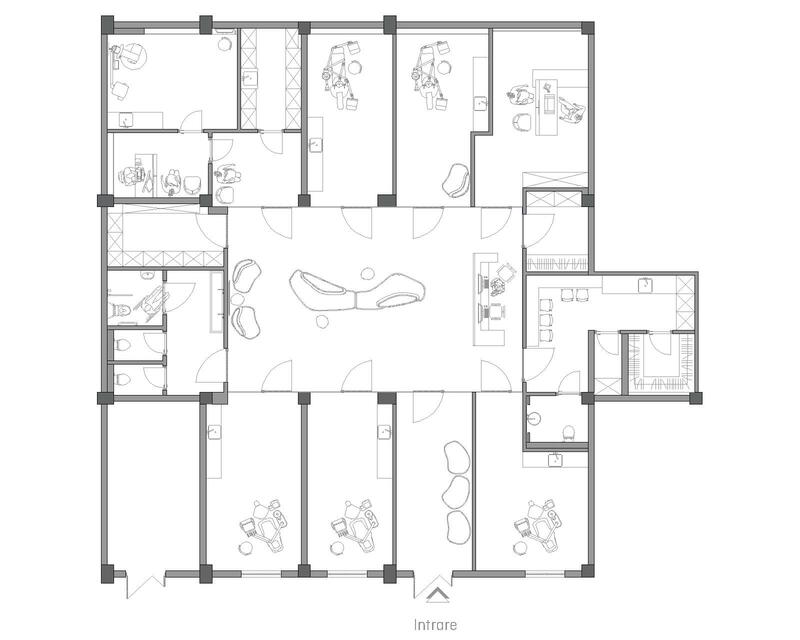 Given that not all of the rooms had windows, we tried to compensate for the lack of light by artificial lighting. To create the most favorable environment for both customers and staff, we used in the project led panels that imitate natural light. 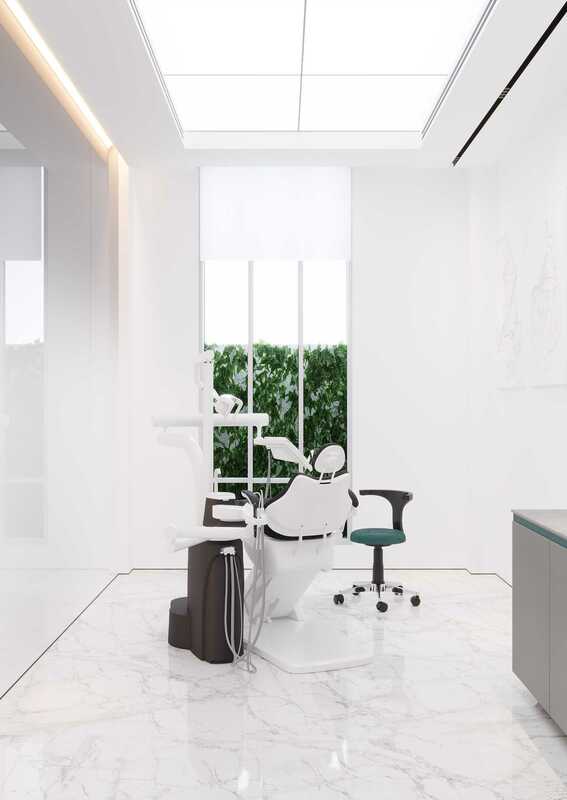 All the elements have been harmoniously combined, thus we obtained a sterile and pacifying space, the one with noble and relaxing accents.